After initial oral arguments, the Court ordered new briefings and a re-argument of a second question: whether the part of the Act (known as the “residual clause”) which outlines what kinds of crimes should be treated as violent felonies is unconstitutionally vague. That potential risk could include drunk driving, fleeing police, failing to report to a parole officer and even attempted burglary. It seemed to be used as a catch-all sentence enhancer for the sole purpose of throwing people in prison for years longer than they deserved to be. This practice has become increasingly more common as more states allow for-profit prisons in their states. The Court's ruling against the residual clause opens the door for thousands of prisoners to have their sentences reduced, releasing them from the private for-profit prison industry's cell blocks, which will cut millions in public tax dollars from flowing to private for-profit prisons. The private for-profit prison industry has long been a supporter of increased mandatory sentencing because that means higher profits for them. The two biggest private prison corporations — GEO and Corrections Corporation of America — receive about $3 billion in tax-payer money annually holding incarcerated Americans. The lawmakers in many states are contractually required to fill prison cells in private prisons; so it’s not too hard to figure out why the ACCA is such a popular sentence enhancer. Private prisons have sue state governments form contractual non-performance, if their for-profit prison cells aren’t filed to contractually mandated levels — making tax-payers pay up if crime rates and prison incarcerations drop. 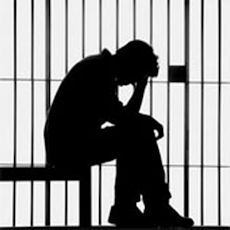 Not only could the money spent on mass incarceration — $80 billion in 2010 — pumped up by longer incarceration sentences under the residual clause be put to better use, but the consequences for people who become entangled in the criminal justice system are also lifelong, leading to barriers to employment and housing, among many other things. People of color are significantly overrepresented in the U.S. prison population, making up more than 60 percent of the people behind bars. Despite being only 13 percent of the overall U.S. population, 40 percent of those who are incarcerated are black. Latinos represent 16 percent of the overall population but 19 percent of those who are incarcerated. The so-called War on Drugs has disproportionately affected people of color. Despite using and selling drugs at rates similar to those of their white counterparts, African Americans and Latinos comprise two-thirds of those in state prisons for drug offenses and 72 percent of those sentenced for federal drug trafficking offenses, which generally carry extreme mandatory minimum sentences. These trends have been intensified by further extending incarceration sentencing times under the “residual clause” three-strike mandate. According to Unlocking America, if African American and Hispanics were incarcerated at the same rates as white Americans, today's prison and jail populations would decline by approximately 50%. If current trends continue, one in three black males born today can expect to spend time in prison during his lifetime. Today, the US has 5% of the World population and has 25% of world prisoners. Combining the number of people in prison and jail with those under parole or probation supervision, 1 in ever y 31 adults, or 3.2 percent of the population is under some form of correctional control. The Johnson v. United States ruling means Congress will have to clarify the law and you can bet that private prison lobbyists are about to throw even more money at lawmakers, but hopefully the ruling signals the beginning of the end for mass incarceration in our nation. More: 8 Facts You Should Know About the Criminal Justice System.